a region in northeast Laos where prehistoric and modern American landmarks are interspersed. 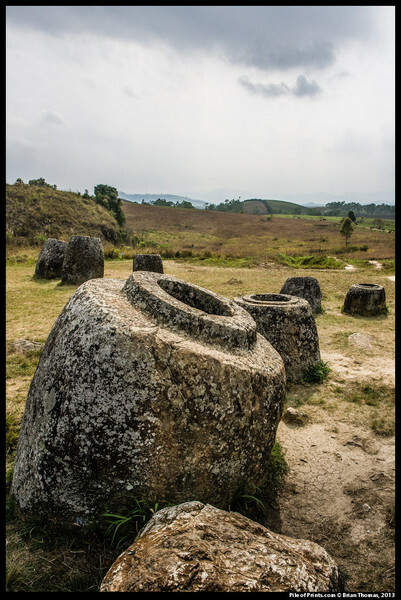 In northeastern Laos a prehistoric people shaped boulders into stone jars that they arranged in clusters throughout the land. 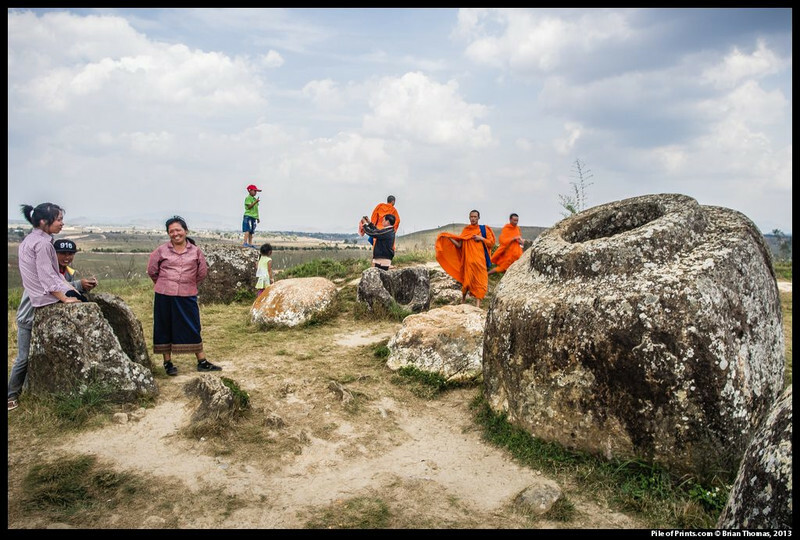 This region is called the Plain of Jars. 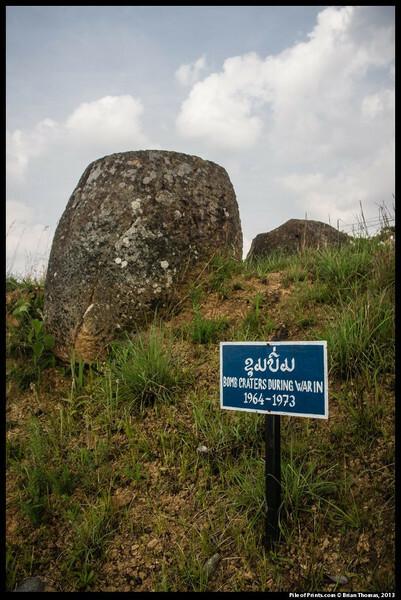 Starting in the 1960’s the United States of America dropped more bombs on the Plain of Jars than were dropped on all of Europe in World War ll. This conflict is called the Secret War. At the guesthouse I stayed in there are weapons from the battlefield and a mural that shows a US plane being shot down over the jars. 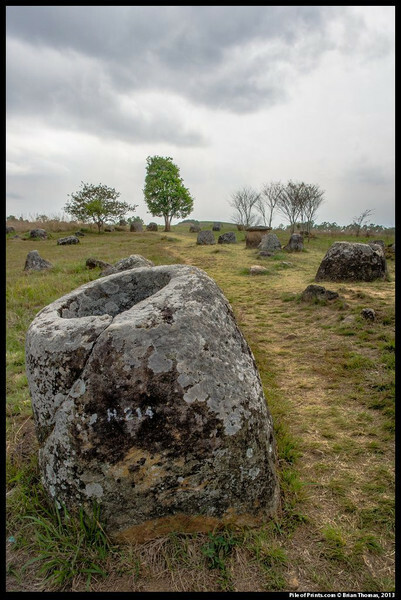 There are bomb craters all across the Plain of Jars; the one above is distinctive only because the trees have, for reasons of their own, staked out its perimeter. 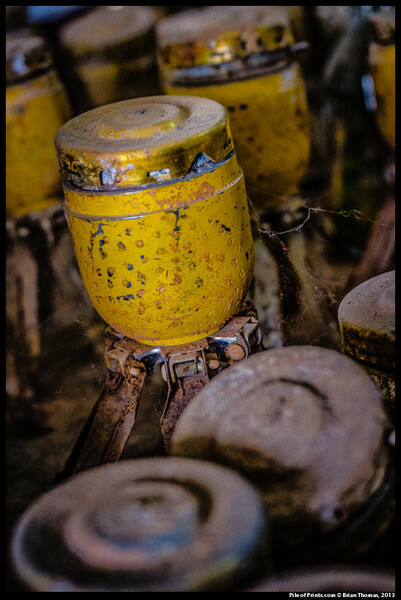 Only the area within a few yards of the jars has been cleared of unexploded bombs and land mines. 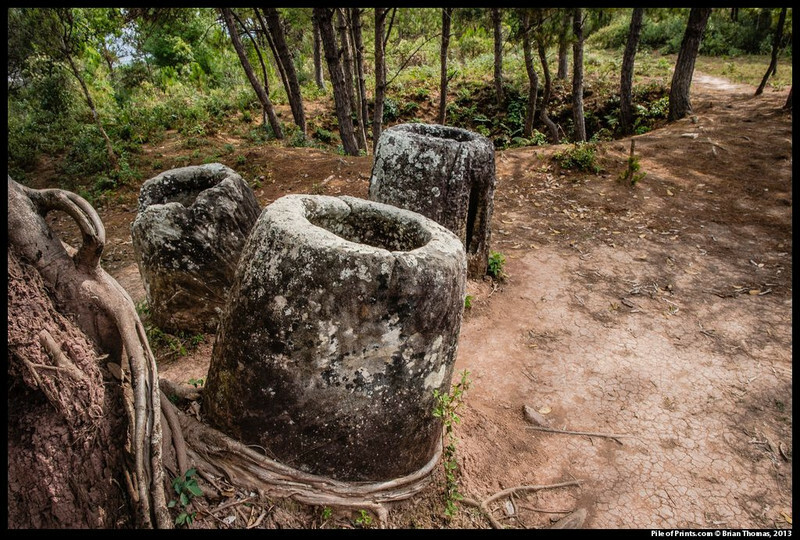 The jar-like objects above are deactivated land mines from the Plain of Jars. Of the 260 million cluster bombs the USA dropped on Laos, about 80 million didn’t explode. 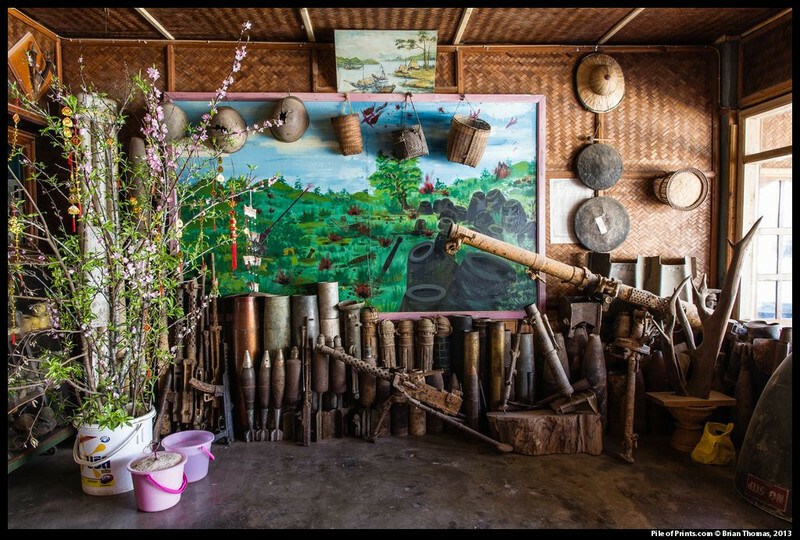 More than 300 of Laos’ citizens are severely wounded or killed by unexploded bombs every year. While I was in Laos five children were killed by the sudden explosion of a bomb dropped 40 years earlier in our Secret War.